Workers on the VW assembly line in Chattanooga. Sen. Bob Corker, R-Tenn., one of the politicians the UAW accused of improperly interfering in the election, also claimed the union was dropping its effort because it knew it couldn't win a new vote. "This 11th hour reversal by the UAW affirms what we have said all along -- that their objection was nothing more than a sideshow to draw attention away from their stinging loss in Chattanooga," he said. The UAW's efforts to organize nonunion plants is seen as crucial to its long-term survival. So far the UAW has been limited to representing plants operated by U.S. automakers General Motors, (GM) Ford Motor (F) and Chrysler Group, as well as their suppliers. Plant closings over the last 15 years have cut into UAW membership. Meanwhile, automakers from Asia and Europe have opened more than 30 plants in the United States, and more than two-thirds of those plants are in the South. Unlike most employers facing a union-organizing election, Volkswagen had stayed neutral on the vote. It even seemed to be encouraging workers to vote for the union, saying it hoped to set up a "works council" to improve productivity at the plant. But Corker, Tennessee Gov. Bill Haslam and other leading Republican elected officials suggested that if the union won the organizing election it would scare away other companies looking at opening factories in the state, where unions are relatively rare. There were even threats that the state would deny VW $300 million in tax breaks it is seeking to expand the plant if the union won the vote. The UAW says it will ask Congress to examine the use of federal funds in the state's incentives threat. "Frankly, Congress is a more effective venue for publicly examining the now well-documented threat," King said. Chaison said it could cause problems for the UAW and other unions should the NLRB rule politicians can't weigh in on labor disputes such as organizing efforts or strikes. "If opponents of the union can be told to refrain from interfering, friends of the union can be told the same thing," he said. "Chattanooga is an unusual place for unions to organize. Most of the places where unions would organize -- places like New York, Las Vegas or Detroit -- politicians would stand in line to support a union. That would provide ammunition to employers to object if they lost an organizing vote." Opponents of the union say the workers decided on their own that they didn't want or need the union. 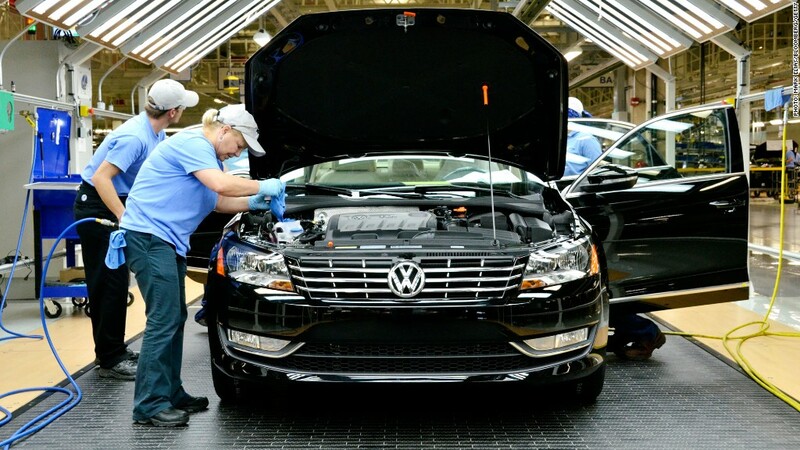 Workers at the VW plant make roughly $19 an hour, compared with about $26 to $28 an hour for veteran hourly workers at the Detroit automakers, although new hires at the unionized plants are making closer to $17.